In any industry, customer acquisition and customer retention don’t increase indefinitely as marketing spend continues to increase. One hits a ceiling (depending on industry to industry) even though marketing spends continue to increase. This brings an entrepreneur or a marketing leader to an important question: how can one determine the optimal way to split marketing spends between customer acquisition and customer retention activities? Acquiring is usually the sexier job, whereas retention is considered a boring one. This is why we will see an average marketing department in any company always talking about customer acquisition. 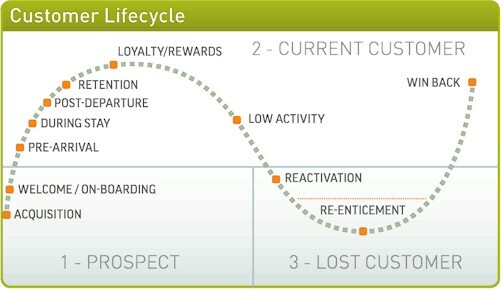 The fact of the matter is: marketing is as much about retention as it is about customer acquisition. However, the term cost of acquiring a customer (CAC) is far more popular than the term cost of retaining a customer (CRC). My personal favorite example is of Zappos, once considered as the most customer-friendly company in the world – Zappos spent an incredible amount of energy on customer retention and as a philosophy believes that the marketing budget is better off making existing customers happier than spending on not knowing which half is getting wasted. The trick with customer retention activities is the marketing should start activities before it becomes a problem. Customer retention only works proactively, and the activities don’t work or become costlier once the customer has already made up his mind to leave. The criterion that is proposed to chose between the proportion of budgets between acquisition and retention is the company’s customer equity. The right question to judge new products and customer service initiatives is, will it grow our customer equity? Customer equity here is measured as the discounted present value of the customer lifetime value (CLV) of all current customers. So for each customer, calculate the lifetime value contributed to the company and then discount all that to a present value. Normally, for all new products, new programs, and new customer-service initiatives, we always ask: will it attract new customers? or Will it increase our retention rates? However, the right question to ask for any marketing program is, will it grow our customer equity? To use customer equity as the criteria, we need some data from the current marketing manager, and we have to run two separate discussions on acquisition and retention to get the below information. Ask the manager about what is the total amount spent to attract prospects? How many prospects were converted to customers? So, we get a CAC of say $30, or managers will say we spend $4 on every prospect and we converted 10% of them to do their first transaction. Then the second layer of question is: if we could spend an unlimited amount of money, what percentage of prospects that you targeted over the last one year could’ve been converted? The answers vary from 40-60% depending on various industries but it is never 100%. Ask the manager about what is the total amount spent to retain customers? How many customers were retained? So, we get a CRC of say $30, or managers will say we spend $4 on every customer on retention and we retained 30% of them for the next year. Then the second layer of question is: if we could spend an unlimited amount of money, what percentage of customers that you targeted over the last one year could’ve been retained? The answers vary from 40-60% depending on various industries but it is never 100%. Basis the above data regarding customer acquisition rates, costs, etc. you first plot the below half of the picture below. The below half shows how acquisition rate changes with acquisition spend. The curve has a characteristic of the law of diminishing returns – as spends increase acquisition rate starts to plateau at a point which is the high est acquisition rate possible given static conditions. Then plot the above half of the picture which shows – how does the average customer margin change as acquisition spends increase? Initially, any product attracts the early adopters and eager buyers and therefore the customer acquisition spends will be low. Slowly, as the acquisition budgets increase new customers come in (still at profitable margins). But, as we go further with increased acquisition budget the customer margin starts diminishing, indicating we are spending more money in acquiring than in getting the margin from customers. That plateau is where you drop a dotted line indicating the budget for your acquisition spends. Do the same exercise to get the retention budget too. In reality, the balance between customer acquisition and retention is never static. Marketing managers must continuously assess the spends and prioritize basis where the business financials are on the curve. Managers should understand the intrinsic usability and customer behavior of their products to assess and improve retentions accurately.